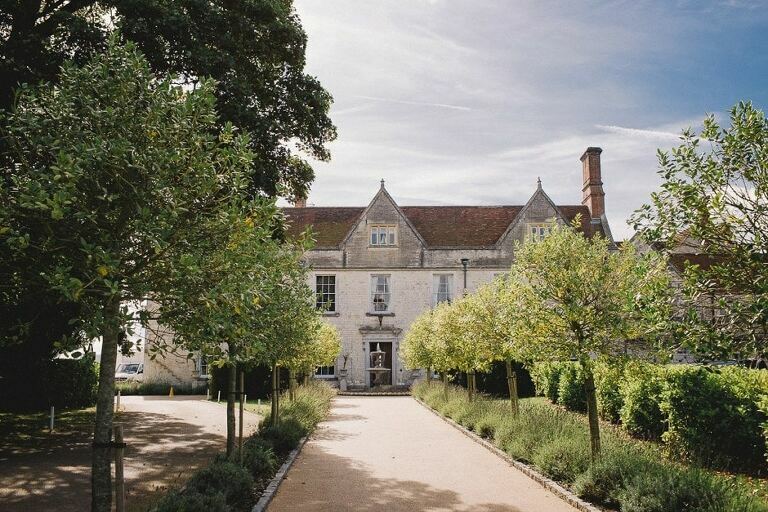 Froyle Park is an elegant wedding venue set within a beautiful country estate in Hampshire. Dating back to the 17th century the grand manor house features picturesque views across the rolling hills and immaculately manicured gardens. I absolutely love working at Froyle Park and the light brickwork and paths make for some wonderfully warm pastel tones in the images, with soft reflected light creating a beautiful fill against a sunny backdrop. 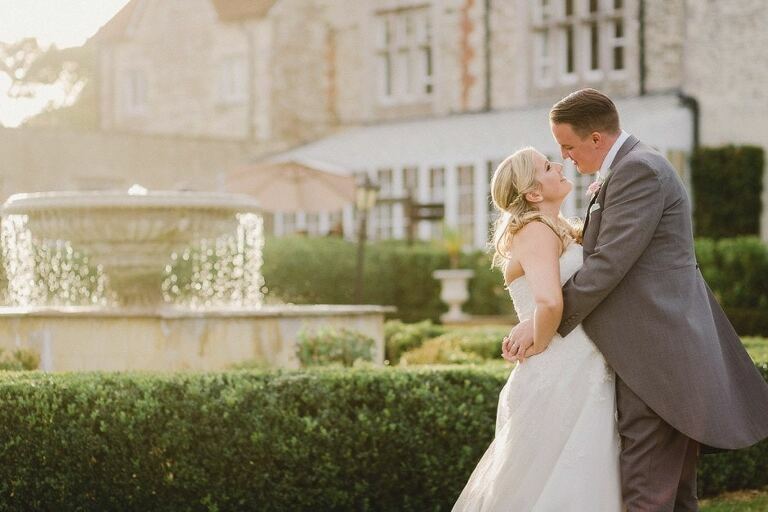 Megan and Dan are a lovely couple who got married here in the late Summer last year and with the sun shining brightly they were lucky enough to exchange their vows under the pagoda. After some champagne and plenty of mingling I took the newlyweds around the gardens for their couple shoot, making use of the stunning grounds throughout the estate. The wedding breakfast took place in the Grand Ballroom, a beautifully light and airy space with large windows which flood the area with natural light. Everyone was clearly enjoying the hilarious speeches and with the sun slowly setting I made sure to capture some wonderful golden hour shots under the pagoda overlooking the hills. Master of Ceremony for the day was Iain Pompeii who always gets the crowd going with his upbeat and friendly nature. After introducing their first dance the party quickly started and this made for some really fun and energetic dance floor shots that I always love to capture! I thoroughly enjoyed working with this amazing couple and very grateful to them for having me along to capture their big day.